The short answer is: Lenders typically want to see a minimum FICO score of 620. The long answer is: It depends. Lenders weigh more than just your credit score to determine what interest rate they'll offer. Other factors like your income, employment history, assets and size of your down payment also play a role. In fact, if you have enough cash on hand for a downpayment of 20% or more, you might be approved for a loan with a credit score below 620. If you’re a first time home buyer with only a 3% to 5% down payment, you’re not as likely to catch a break. You can find your credit score within a credit report. Pulling (ordering) a report is one of the first things your loan advisor does after receiving your loan application. Ever wonder what’s inside a credit report? What’s in a Home Buyer’s Credit Report? Think of credit reports as report cards for adults. Credit reports show your borrowing history, things like how much you’ve borrowed and whether you’ve paid back creditors (institutions that lent you the money). Each creditor is listed along with the date the account opened, a history of payments, and the current balance. Every payment and late payment is listed on the report. Credit reports include public records like foreclosures, bankruptcies or short sales on properties you’ve owned. Unpaid tax liens, alimony or child support payments also show up. If you're a renter or have been one in the past, your rental payment history may also show up. You can bet your bottom dollar that any previous mortgages, along with delinquencies, will be in the report. How you’ve handled money in the past is predictive of future behavior. A pattern of late payments or missed payments will work against you. Conversely, a pattern of payments made on-time and in-full work in your favor, giving you a higher score. 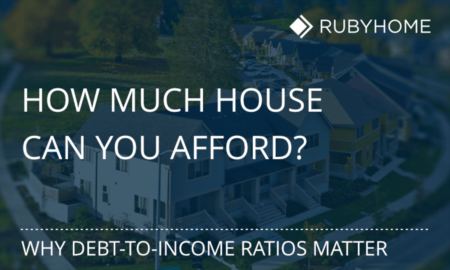 You’ll also be better served by carrying fewer current outstanding balances (counted as part of your overall liabilities when you apply for a home loan). Lenders want to assess how likely you’ll pay a loan back. If you’re drowning in other debts, making your mortgage payment will be difficult, if not impossible. Being overextended, or “maxed out” works against you. Accounts you've had for a long time show lenders a longer financial history, giving them deeper insight about how you may act in the future. Borrower risk is easier to measure when there are more data points. New accounts don't reveal very much about your credit history. There's simply less information for lenders to see. The bottom line: don't open a bunch of accounts all at once. Borrowers who demonstrate responsible use of credit from different sources, like credit cards, retail accounts, and student loans will typically see a FICO score bump. Of the three scores in a tri-merge credit report, the middle one is used by mortgage underwriters. Allen Rogers wants to buy a home and wonders if he has an acceptable credit score to buy a home. 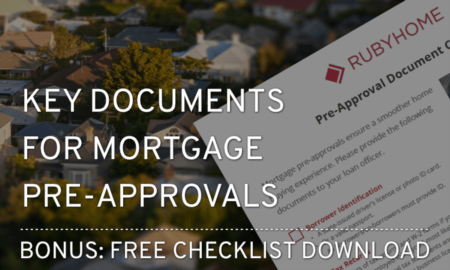 He gathers up the documents needed for mortgage pre-approval, contacts his loan advisor and starts an application. His tri-merge credit report comes back with FICO scores of 670, 665 and 648. The middle score, 665, will be computed as part of the underwriting process. 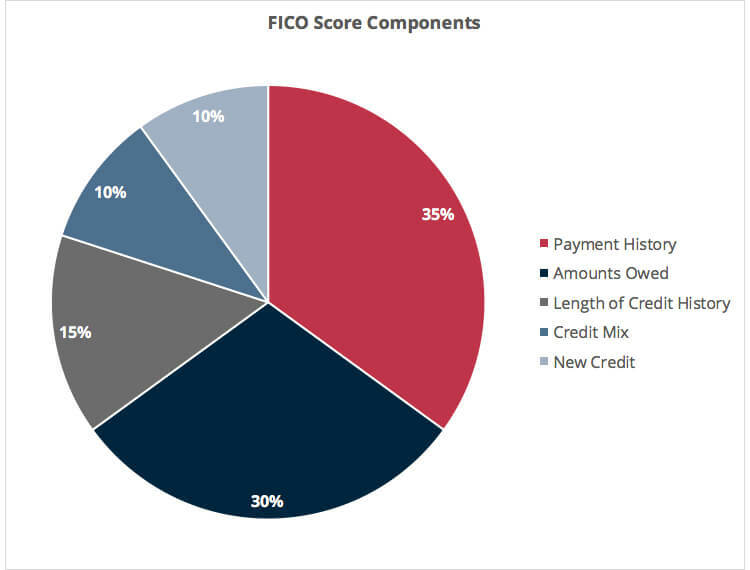 Allen's middle FICO score of 665 is considered fair on the scale for credit score tiers below. 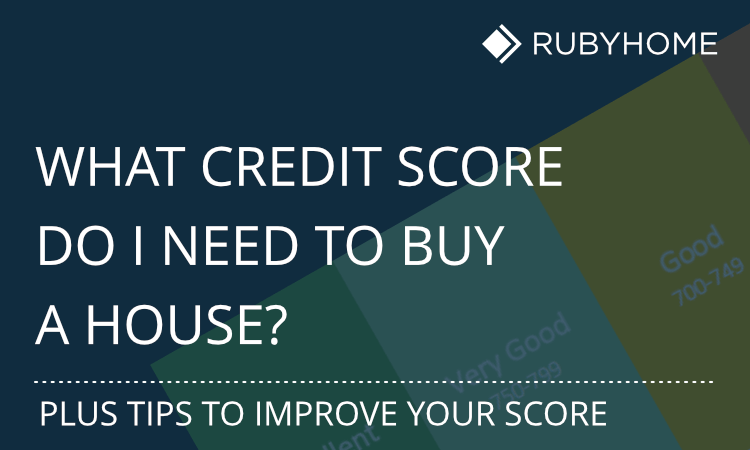 According to FHA guidelines, the credit score needed to buy a house is 580. From a credit score perspective, Allen is in good shape. If he meets the other FHA requirements, we could expect approval for a FHA loan. He would get a good interest rate. A lower rate would be possible if his FICO score was higher. Here's an important rule of thumb: borrowers with lower credit scores can expect higher interest rates. Borrowers with higher credit scores can expect lower interest rates. Fair Isaac Corporation, the developer of the FICO score, says bankruptcies can shrink a person’s credit score by 130 to 240 points. Borrowers can expect to take a hit of 58 to 160 points to their FICO score for a foreclosure. Fair Isaac indicates that a person’s FICO score could drop by 85 to 160 after a short sale. Late payments also reduce credit scores. Delinquencies tend to wreak more havoc on people with lower credit scores than for folks with higher scores. Here’s a comparison of how much damage a delinquency can cause, depending upon their initial FICO score. Getting a VA loan after bankruptcy is possible two years after Chapter 7 bankruptcy and one year after Chapter 13 bankruptcy. FHA guidelines are similar. For Chapter 13 bankruptcy, borrowers are eligible for an FHA-insured mortgage if the applicant (1) completes one year of payments and, (2) obtains a letter from the Trustee of the court, stating the dollar amount the applicant can borrow. Conventional loans may require seven years after bankruptcy before taking out another mortgage or four years from the time of a short sale. If you have a lot of outstanding debts and feel overwhelmed, identify the smallest balances and pay those off first. Paying off the smaller ones helps get you into a rhythm, or habit, of paying things off. Eliminating a few smaller balances will give you a sense of control over your situation. Small victories, in the beginning, set you up for bigger victories later. After you’ve paid off a few small balances, rank your remaining debts by interest rate. Pay off the balances with the highest interest rates first. Those are the debts that cost you the most. Take a time out. Don’t open new credit cards or take out new loans (cars, boats, student loans, etc.) Even something perceived as relatively mild, like applying for another credit card, creates a new credit inquiry. Inquiries add up and impact your score. Once you see your credit report, you'll be able to identify any errors within your credit history. If you see any mistakes, you should dispute them and attempt to remove them from your record. The Federal Trade Commission has an excellent resource page that explains how to dispute errors on credit reports. Monitoring another way to get a sense of control and empowerment as you pay down debts and see your score go higher. Credit monitoring links your behavior (paying off debts) to a tangible outcome (a higher score) which becomes a self-reinforcing feedback loop. You’ll feel good while you work toward your goal. Check out AnnualCreditReport. They provide a free report every 12 months. As long as any of these show up on your credit report, they’ll have an impact on your credit score. The best action to take, from this point forward, is to continue working on your credit history and let older, negative items age and expire. If I have several credit cards, should I cancel a few of them? If you've recently applied for a loan or plan to do so within the next few months, don't cancel any credit cards. And don't get any new cards. This is the time to keep a steady hand on the wheel and not make any sudden lane changes. Ideally, you have a FICO score of 620 or better. If not, compensating factors - like a large down payment - may help you clear the hurdle with an underwriter. What happens if I have a co-borrower? Anyone who signs a deed, who is listed on the mortgage as a co-borrower, plays by the same set of rules before and after the loan is made. The loan application will be approved/rejected based, in part, on the credit histories of both parties. After the loan is made, the mortgage payment history shows up on the credit reports for both the borrower and co-borrower. Assuming my credit score is fine, how long does it take to get a home loan? Market conditions usually determine how long it takes from the time you start a loan application until the day the loan closes. For example, if interest rates drop, lenders will see an uptick in refinancing activity which temporarily slows down their operations. Seasonality can also change the mortgage market; summer is routinely the busiest time of year for purchases. Conversely, winter is less busy. Given the possible fluctuations in interest rates and real estate market sales activity, the typical loan mortgage loan process takes 30 to 45 days. The highest average time to close a loan in the recent past was 55 days during a busier-than-usual market cycle.